Talk about a full bodied wine with a big nose. 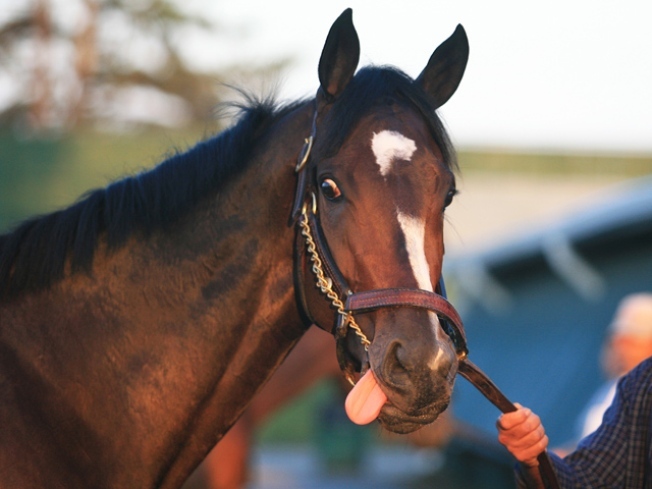 Preakness winner Rachel Alexandra is about to get her own line of vino. The co-owners of Kendall-Jackson Winery announced Tuesday that a limited edition of wines honoring their super 3-year-old thoroughbred filly will be ready for the holiday season. Rachel Alexandra won the Haskell Invitational in New Jersey on Sunday, beating Belmont Stakes winner Summer Bird by six lengths for her eighth victory in a row. She won the Preakness Stakes in May. The winery says fewer than 300 cases of the wines will be produced and each bottle will have Rachel's image. Jess Jackson and wife Barbara Banke are co-owners of the winery. Jackson purchased Rachel Alexandra in May after the filly won the Kentucky Oaks by 20¼ lengths.